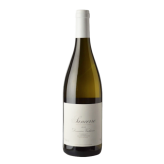 The Sancerre appellation is situated on porous limestone and hard flint soil near the head of the country’s longest river, the Loire. It’s right in the middle of France, really. Domaine Vacheron is just a ten minute stroll from the centre of town. This is a family winery in the truest sense – it’s also widely recognized as a pioneering, elite producer of Sancerre. The original five hectares established by Jean-Louis Vacheron in 1968 have grown to 43 hectares, and the Domaine comprises some of the finest sites in the central vineyards of the Loire Valley. Today Jean-Louis’s sons, Jean-Louis and Denis, and his grandsons run the Domaine. Much of the Domaine is planted to Sauvignon Blanc, but there are about 12 hectares of Pinot Noir planted for the production of red Sancerre (an unusually high proportion for the appellation and a wine the domaine is particularly noted for). Keep an eye out for its release. The Domaine continues to hand-harvest their vineyards even as many Sancerrois growers have introduced mechanical harvesting. Vineyards are Certified Organic and biodynamic, and no synthetic chemicals are introduced. Traditional winemaking techniques are employed, with white wines fermented in small stainless steel tanks or old open-top wood vessels, always by native yeast. Red wines undergo malolactic fermentation in barriques.